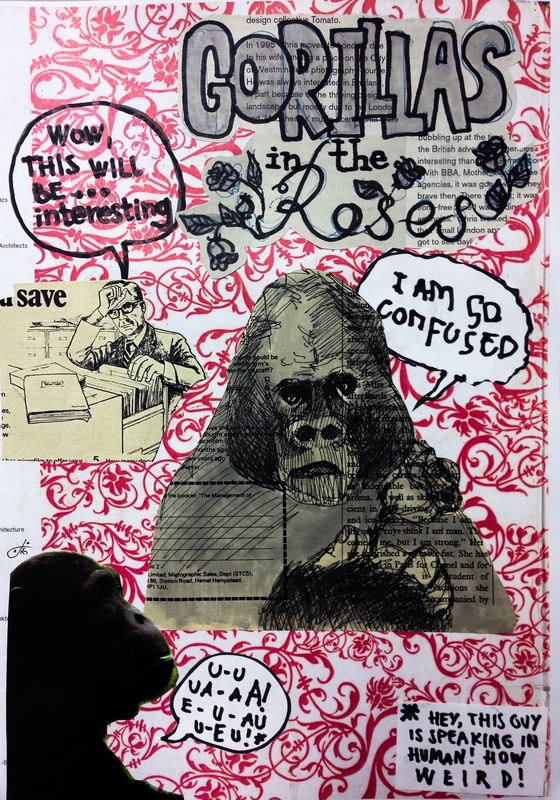 At our last collaging session with James, we set ourselves a collaging brief – to create a cover for the Gorillas In The Roses zine of covers, which James suggested earlier this term, and to which we excitedly agreed. After giving it about two hours of intense work, we all came up with our different versions of what Gorillas In The Roses is, how we see it, what it means to us as a module or mmaybe literally, etc. We were, for the first time, working under a set brief. I’m not going to lie, I found it a bit stressful, but then again, there’s no inspiration like the deadline. Haha! 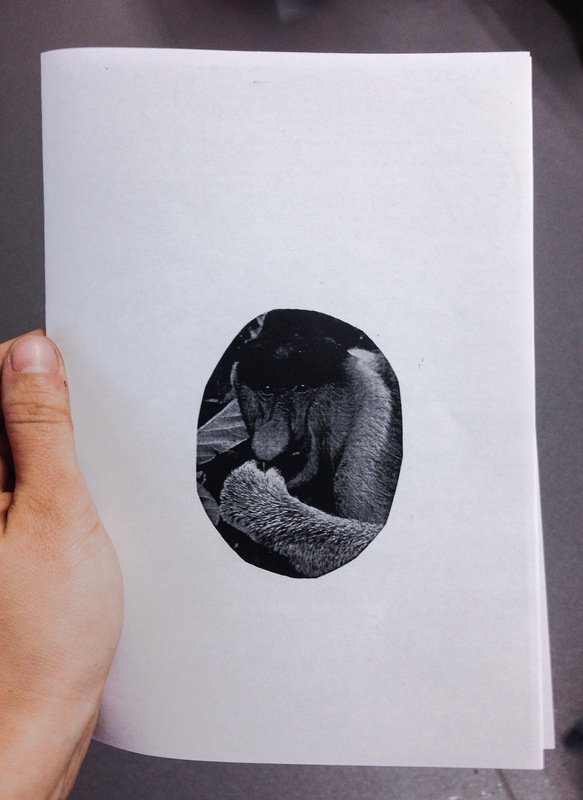 We had to consider the size – the print was going to be size A5, so be careful about details too small. The other thing we had to be wary of was the fact it was going to be printed in black and white and any bright colour would be lost. Having all that in mind we all ended up handing in with very interesting outcomes. Everyone signed their names on a page that James made himself and then we were ready to go. 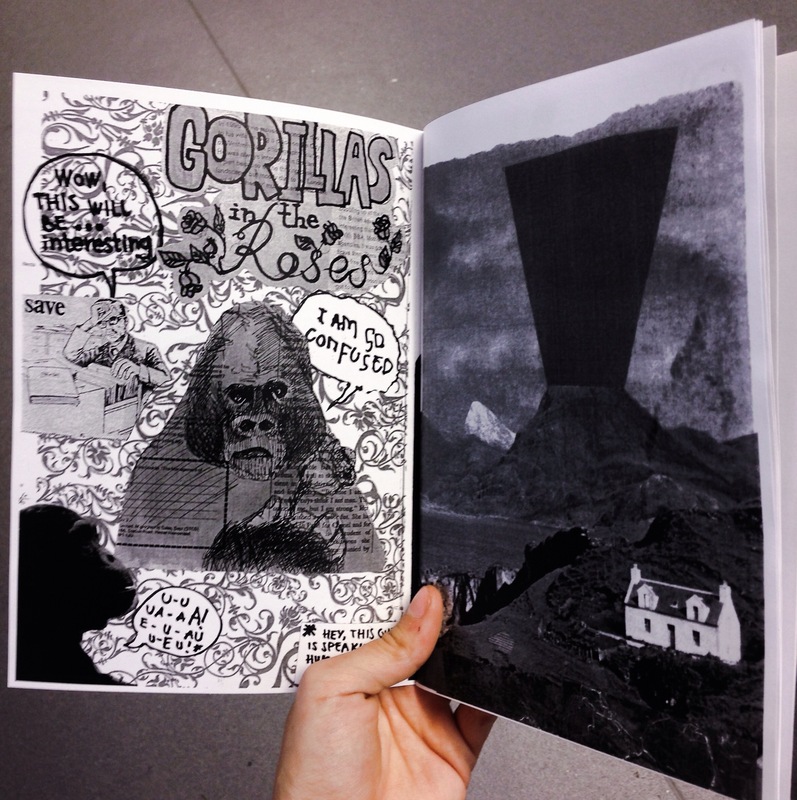 I think it is fairly easy to notice, eve just from the first two images (and the cover), that the zine is filled with various aproaches to collaging. From minimalistic to elaborately detailed, from hand drawn to photographic, literal to abstract… all bearing our personal artistic touch and views and ideas.